So I clicked on the link to “American Birding Association,” and I got to a 239-word entry on the ABA. Topics covered: the ABA’s move toward a more inclusive conception of its membership; the ABA’s Code of Birding Ethics; and the ABA’s multi-authored blog, that is to say, the forum in which I’m writing right now. As many of us know, The ABA Blog recently celebrated its first birthday, which means that this particular Wikipedia entry has been updated within the past year. I’ll say more about that later. Oh. 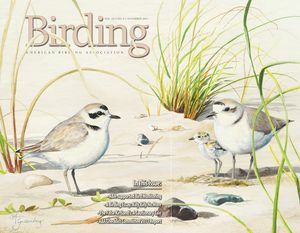 One other item caught my eye: “The ABA publishes Birding, its bimonthly magazine.” I clicked on the link to “Birding,” and that took me to a 664-word entry on our bimonthly members’ magazine. More than half the total verbiage (345 words, or 52%) was devoted to a single topic. Care to guess what that topic was? Perhaps bird identification? Maybe bird finding? Listing? Binoculars? Don’t get me wrong. I’m delighted by the coverage. And the topic is more timely than ever. 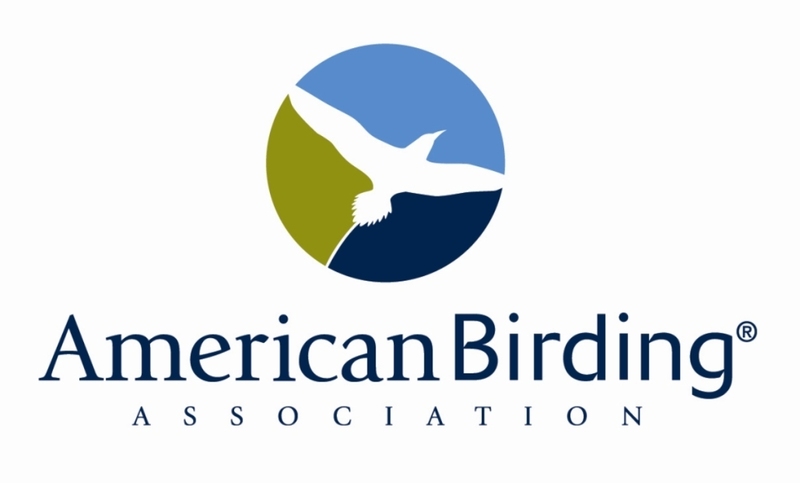 Recently, the ABA—represented by President Jeff Gordon and board member Kenn Kaufman—participated in an important symposium on Changing the Face of American Birding. I’m way into the sociology of birding. And I suppose that interest—some might say that bias—of mine might conceivably influence content in Birding. But not too much, I hope. I’m wary, to say the least, of editors with agendas. I hope I got that point across in a commentary beginning on p. 56 of the November 2010 issue of Birding. Simply put, there’s more to Birding than articles on “Demographics of birders.” In other words, this Wikipedia entry is out of balance. It’s also out of date. In the first paragraph of the entry, content of the magazine is described “as of 2007.” In this internet era, four years is a long time. The entry for Birding magazine is badly in need of an update. And, honestly, most of the rest of the Wikipedia coverage of the ABA and its programs would benefit from a makeover. Before I go any further, I want to be very clear about something: I intend no criticism, none whatsoever, of the folks who have contributed to the Wikipedia entries for Birding magazine and other offerings of the ABA. Indeed, I am highly grateful for the exposure. But we need more of it! The Wikipedia entries for the ABA and its programs need to be updated, expanded, and rebalanced. Then click on “Edit,” up toward the upper right. It’s that easy. It really is. Now you might be saying, “Gee, Ted, why don’t you do it?” Or “Maybe David Hartley, the ABA’s Director of Communications, could do it”? Or perhaps President Jeff Gordon or blogmeister Nate Swick? True, any one of the four of us could do it. So could anybody else on the staff at the ABA. But there’s that old problem of bias. Check out Wikipedia entries for “Occupy Wall Street” and “Tea Party Protests,” for example, and you’ll see red flags—actually, they’re yellow and orange, respectively—up front. The best Wikipedia entries are those that benefit from the broad contributions of interested, intelligent, and neutral e-citizens. What are you waiting for? Go on! Do it! You can put in as much or as little work as you like. Add a factoid; fix a bad URL; or rework a sentence that doesn’t quite get the point across. Or write brand-new content. For starters, the entry on Birding magazine could use a little help. A final thought. There’s been a lot of talk lately about public perceptions of birding and of birders. (The Big Year, anyone?) 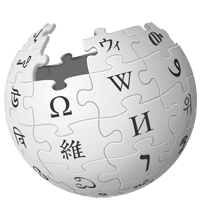 Like it or not, Wikipedia is how a sizable chunk of the world gets information. A newbie’s first contact with birding and the ABA might well be via Wikipedia. A final, final thought. I’m not asking—and neither, I’m sure, would any of my colleagues on staff—for a sugar-coating of the ABA. We just want a thorough, accurate, unbiased, well-informed accounting on Wikipedia of what the ABA is all about. 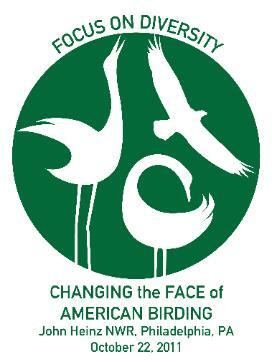 I stand by our product, the American Birding Association. And I’m confident that YOU, contributors to and readers of The ABA Blog, are the best-qualified persons in the world for educating the general public about birders, birding, and the ABA.